In the Mid-Atlantic region, we have an electronic toll collection system called EZ Pass, that allows you to pass right through the toll booth without stopping. Well, a State Trooper here in Pennsylvania hit the motherlode when he pulled over a trucker. Not only did he have a stolen EZ Pass under his front bumper (and avoided over $500k in tolls) and was carrying cargo that was 17 tons over the limit, but he apparently was also stealing diesel from other truckers, and had a split-axle trailer with a modified air system that can lift the axles over toll indicators, with mufflers that can prevent toll collectors from hearing the axles being raised. I would say that this guy is screwed (and rightfully so). It looks like I'll be going back to work on June 30. It will be 8 weeks post op by then, and I'm more than ready to return to my routine. I'll put off returning to my weekend job until August; don't want to start out full bore right away. I had blood work today, and will probably get my results tomorrow. My Prograf was low last week, so I'm anxious to see what it is. My hands are shaking more, so it's probably at least close to therapuetic. I read some sad and infuriating news about a blogger named Matt, who had a kidney transplant several years ago, has been off of work (FMLA leave) due to some major edema and rashes, and found out that he was fired from his job. Not only did no one tell him he was fired, but they also cancelled his health insurance, which is how he found out about the firing. He seems to be taking it a lot better than I would, but the commenters on his post were of the same mindset as me; what his employer did sucked. I’ve always said that I am very fortunate at my job. My supervisors and co-workers have bent over backwards for me through all of this, and I very much appreciate that. I received an email with a link to a newsletter from the UK. The PKD Charity in the United Kingdom puts out a newsletter, and did a story about me when I was on dialysis (which seems so long ago, but was actually just 7 weeks ago). They actually took excerpts from my LiveJournal blog, and posted them in the newsletter. The newsletter is well done, and addresses important issues such as pain control (a “hot topic” with PKD), PKD and pregnancy, a theory regarding water and PKD (Polycystic Kidney Disease), and other articles. The article gives a link to my LJ blog (it was written prior to my switch to WordPress), which is why I have been cross posting. However, I'm going to probably just do all of my kidney blogging on WordPress as well as my new blog at MyKidney. However, I'll probably still post here on other things, and will definitely keep up with my friends page. The link to my other blogs: Chronic Positivity at WordPress, and Jeff's Transplant Blog at MyKidney. The actual surgery now seems like it was longer ago than it actually was, and dialysis is a distant memory. I think it's due to feeling so much better, and pretty much being fully recovered from the surgery. I also tend to look forward more than I look back, so that could also explain it. I really have to remember to continue checking my fistula for the "buzz" (layman's term for what medical professionals call a "thrill"; there is a palpable buzz that is felt due to the turbulence caused by the mixing of higher pressure arterial blood and lower pressure venous blood). I did check it yesterday, and it's fine. I'm hoping to get it stented sometime in August, but haven't brought that up in a few weeks. I do wonder if they will be able to do the fistulaplasty without dye, because the Transplant Surgeon says ABSOLUTELY NO DYE!!! My appetite when on dialysis was horrendous; fortunately I could afford to lose weight (although it did affect my nutritional status adversely). I thought that once I got my transplant, my appetite would pick up. However, we went out to dinner Friday night, and I'm not eating much more than I did a few months ago. I'm not complaining, because I would like to get under 200 lbs (in addition to the weight I'll lose once my native kidneys shrivel up and fade away). I think my appetite might be due to the fact that I'm drinking so damn much water, that I'm not hungry. I mentioned to my Nephrologist how amazed and happy I am that after being on BP meds for close to 20 years, I'm finally off of them. I thought after my Gastric Bypass Surgery that I would be off of them, but I wasn't. I'm thinking now that the hypertension prior to that was weight related, and after that was kidney related. Now that I'm "fixed" from a kidney standpoint, I'm relatively normo-tensive. Conventional wisdom has it, that outside of Philly and Pittsburgh, Barack Obama will have a tough time in Pennsylvania (ala "they cling to guns or religion or antipathy toward people who aren't like them"). 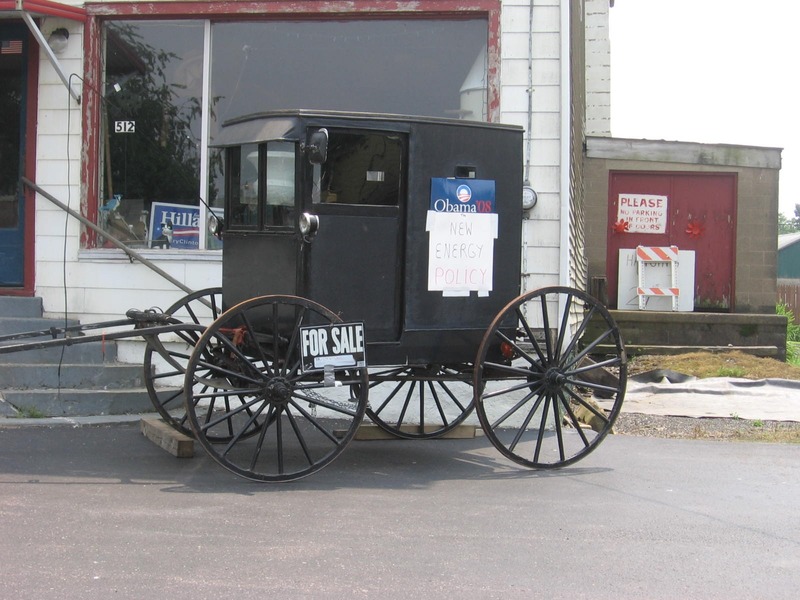 But if these pictures are any indication, he may very well have the Pennsylvania Amish vote locked in. It’s definitely getting to be “back to work time”. When I had my emergency brain surgery for a subdural hematoma back in September 2005, the Neurosurgeon wanted me to be out of work for 6 weeks, but I was able to convince his PA that I was OK after 4 weeks, so I returned then (and I WAS ready and able at that point). The reason I now say I’m ready is because I am starting to go “stir crazy”, and my days are not as structured as they were even a week ago (in other words, I’m getting lazy). Going back to work will at least give me some structure (I’m not TOO obsessive compulsive, am I?). I’ve managed to get in more fluids today; it’s hot here, and getting more humid, but not as bad as earlier in the week. I’m trying to be more aware of everyday sources for potential infection. The one thing I’ve been doing is to put the sponge in the microwave for 2 minutes each day after I wash out my breakfast dishes. Sponges are a wealth of bacteria (and probably other organisms), and I ‘ve read that this helps. I also have been very conscientious about washing my hands more often/using hand sanitizer. Jackie got a little freaked out today regarding infection. She is working at a summer “camp” (although it’s more of a summer school program) for kids with autism and behavioral problems. She found out today that one of the children has TB and Hepatitis B. I told her not to worry; the State Health Department of Health would not allow someone with active TB to be in a public setting, and she has at least partial protection with the Hep B vaccine for that disease. She just has to be sure not to touch any blood (which is how Heb B is transmitted). I’ve been driving now for the past few days, and it’s done a lot to help me out mentally; I don’t have the “post op” frame of mind anymore; just another step to getting things back to normal. I got a call on my Prograf/FK-506 level, and it’s too low; 5.1 (the goal at this point is a level between 8-10). That sure would explain the drop in creatinine from 1.4 to the current 1.2 (I was told that my creatinine will probably drop some when they ease up on my immunosuppressants over the next few months). Interestingly, the Transplant Nurse was talking about how some patients cheat on their immunosuppressant meds. They don’t take them for a while, and then take them 2 days before their labs, and everything looks good, until they end up rejecting. When he called me with my labs, I assured him that I am FANATICAL about taking my meds. They do have a way to detect the cheaters, though. They periodically check an “immune function”; if it’s abnormal (too high? ), they know the person is non-compliant. In my opinion, being non-compliant is in a way unfair to others. If a non-compliant person gets a kidney, and loses it, then someone who would have taken better care of it loses out. I firmly believe that recipients have a DUTY to take care of their transplant as well as they can. As for the other 2 labs; the CMV level and BK Virus screening, I probably won’t know anything about them until next week. Kevin and I just got back from my bi-weekly appointments with the Transplant Surgeon and Transplant Nephrologist. I started out having labs drawn, we then went to breakfast, and then up to see the nurse and doctors. Everything is going GREAT. My creatinine is 1.2, and my kidney function is above 60%! (they don't quantify above that; anything over 60% is considered normal) I looked back at my labs, and was able to track my creatinine back to April 2000; at that point, it was 1.6. They didn't start reporting GFR until 2004, and in March of that year, it was 29.2. This was the first BMP (basic metabolic panel) since the mid-late 1990's that ALL values were normal. Dr. Varma, the Transplant Surgeon, had a huge smile, and said that I couldn't have asked for a better kidney. My Prograf level (FK-506), CMV level (to determine if I have the virus active in my body), and BK Virus screening were not back yet. Other highlights: I don't have to return for another 2 weeks (I was told initially I would have appointments WEEKLY for 3 months), I am cleared to drive (WHOPPEE! ), and I can return to work sooner than planned (tentatively set for July 7). The Transplant Nephrologist was also pleased with my progress. I asked about still taking Vitamin D, and he said it was OK, and that he will check a Vitamin D level and PTH in several months. Also, he will recheck my iron studies to see if I need another IV dose of Venofer. The Transplant Nurse explained my immunosuppression regime in a little more detail. I follow a kidney transplant group online, and many of the patients report a dose of CellCept of 1000 mg twice daily; mine is 500 mg twice daily. The reason for the lower dose is because they hit me with Campath prior to surgery, which basically wiped out my T cells, and decreases the need for more heavy immunosuppression. I guess it's a case of a synergistic effect. Using smaller doses of more meds is better than larger doses of less meds. As things are pretty much stable, I probably won't blog every day, at least about my transplant. However, I will update my "Vital Signs..." page daily. I've come upon some useful browser add-ons, as well as other software. First, there's "Slimbrowser": It incorporates a large collection of wonderful features like recoverable popup killer, form filler, site group, quick-search, auto login, hidden sites, built-in commands and scripting, online translation, script error suppression, blacklist/whitelist filtering. In plain English, it's a lean, mean alternative to Internet Explorer, and more secure. There are several add-ons to it as well. First, there's Roboform, which incorporates into ALL of your web browsers, and fills in passwords and forms. It's safe, because you have to log on with a master password to use it. Another worthwhile add-on is Blaze-FTP, which is a free FTP client. Another add-on that I now use is BlogRovR. It is an online website/application that allows you to centralize the blogs that you read on a regular basis. Unfortunately, it's only available for Firefox. I managed to get a little more fluid in yesterday. My weight is down another pound (which is good; my "dry weight" from dialysis was 92.7 kg, so I'm almost down to my pre-op weight). BP is still good, and no fevers yet. I have my next lab work on Wednesday, as well as appointments with the Surgeon and Nephrologist. Last night, I had significant back pain around my waist. I was thinking it might be another cyst rupture, but it resolved within a minute or 2, and hasn't happened since. People probably think that since I had a transplant, I shouldn't have any more issues with my Polycystic Kidney Disease. But I still have both kidneys, so it can happen. One of the issues faced by patients on immunosuppressants is that of interactions with other meds, herbs and supplements, and even food (the main culprit: grapefruit). I was surfing around this weekend, and found what seems to be an excellent resource for both transplant patients and non-transplant patients. It's the Complementary and Alternative Medicine Index by the University of Maryland Medical Center. I just received access to my employer's intranet via a VPN (I have some work that I need to do from home). It's amazing how it works. Being that I can have medical access, the security is extremely stringent. I won't go into specifics, but I have a username, password, I had to set up a pin, and I also have to use a multi-digit number that changes every minute. I was given an electronic device that provides that number, and it amazes me that it isn't connected to a network, yet changes by the minute. We've had some stress lately in our house. Jackie has worked as a non-contract Alternative Education teacher for the past 3 school years. She was told by the Superintendent about 2 weeks before school ended that her Middle School position was being combined with the High School position, and that she would need to reapply if she was interested in it (she has glowing letters of recommendation from her supervisors). Rumor has it that the job has already been promised to a phys-ed teacher (who used to play on this district's football team). This teacher, who I have known since he was a child, has been out of state teaching for the past several years, has absolutely no Alternative Education experience, and his training did not include classroom teaching as far as I know. I hope it's not true, but I wouldn't be surprised if it is. No more pain from the cystoscopy/stent removal. In regards to med side effects, I’m sleeping OK, the diarrhea is controlled (I increased my fiber, and that seems to help), but the hand tremors (from Prograf) are still somewhat bothersome, especially after my am dose (I take 3mg in the am, and 2mg in the pm). But again, I’ll take the minor annoyances over kidney failure any day. My weight seems to be hanging around 207 lbs, when just last week it was around 209, so that’s an improvement. Oh, I forgot about another side effect: bruising from aspirin (a.k.a. ASA). 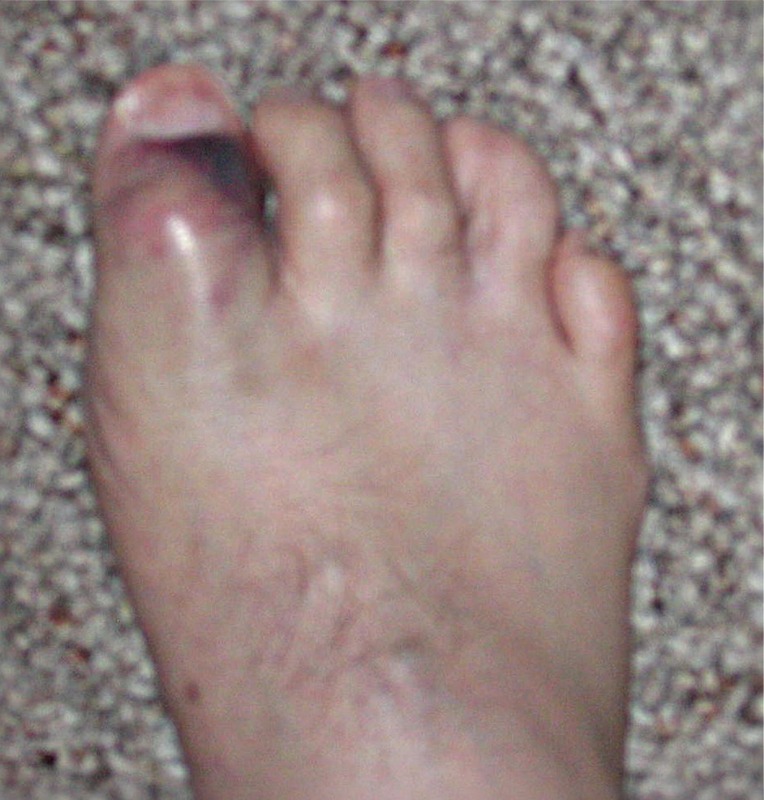 Friday, I was walking in our hallway in bare feet, and stubbed my toe on a throw rug (not at all uncommon with CMT). By yesterday, I had a nice bruise (as well as pain and swelling). I posted a pic at the end of this post; you can also see the characteristic “hammer toes” as a result of the neuropathy. My blog hit 2000+ hits sometime Saturday afternoon. Not bad for being up less than 2 months (not sure how many my LiveJournal blog has, because LJ doesn’t offer the blog stats option). I found an interesting blog entry from Fabius Maximus on the economy: When Did Dude Predict A Recession? This is a clickable thumbnail; the larger pic isn't focused very well, because of my hand tremors, but this gives a pretty good indication of the bruise. Today is the 5 week anniversary of my kidney transplant. Doing better today. Not that yesterday was bad, but urinating was VERY painful after yesterday's procedure. Today, it's back to normal. My BP is normal today, which proves that BP trends are more accurate than single readings. Jackie and Kevin put in our air conditioners last evening, so it's much more tolerable inside today. I feel bad that I'm unable to do heavy lifting or weeding/gardening, but I know it's for my own good. The heavy lifting restriction is from both the surgery and the fistula. One of the issues last night was that when we turned on the air conditioners, there was a musty smell, which means fungus. So, we sprayed Lysol inside the vent that shoots out the cool air, because fungus in my immune state could be life-threatening. I posted some interesting articles related to transplants on MyKidney.com. 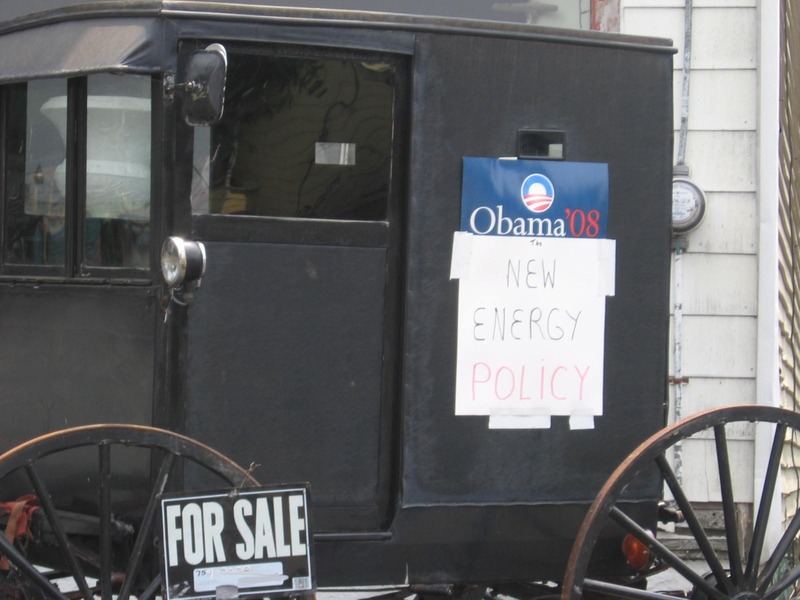 I also came across a contrarian view to current oil prices (which can be seen here). Time will tell.